IIf you’re a citizen of another country and want to travel to South Africa then you need a visa. The “visitor” visa is for international travellers who permanently reside outside South Africa. It’s also for those who wish to visit the country on a more temporary basis for tourism or business purposes. But it won’t last forever. Once acquired, this visa is valid for a no longer than 90 days. Having a visa simply means that your application has been reviewed at a South African embassy, mission or consulate and that the consular officer has determined you eligible to enter the country for the reason you stated. Great! Now that you’re allowed in, the visa will grant you access to the South African port of entry, where an immigration official will determine if you are allowed to enter the country and for how long. Always remember, all visitors are restricted only to the activity or reason for which their visas were issued. So now you’ve made it into the country. Once here, the visa is considered to be a visitor’s permit. The permit’s period of validity is set from the date you came in and will be set out under the heading “conditions” on the visa label. It’s important to ensure that you apply for the correct visa or permit. If not, entry into the country may be refused if the purpose of the visit was not correctly stated. Depending on where you’re from, visa requirements differ from country to country and the requirements are subject to change. Each application is treated as an individual case, hence you should ask your nearest South African mission or consulate abroad or any office of the Department of Home Affairs to see whether or not you are even supposed to apply for a visa. Remember, there is a fee that will be charged for issuing you a visa, and you should check the cost with the office as well as this is updated annually. The fee is payable in different currencies in different countries. It is incredibly important to get your visas. These are not issued at South African ports of entry, and airline officials are obliged to insist on visas before allowing passengers to board. If you arrive without a visa, immigration officials are obliged to put you onto a flight back to your home country. Foreigners with long-term status (work permits/permit residence) in the neighbouring countries who transit the Republic to return to their employment or residence are not subject to the transit visa, provided they are in possession of proof of their status. South Africa requires a valid yellow fever certificate from all foreign visitors and citizens over one year of age. This is essential for people travelling from an infected area or for those who have been country hopping through infected areas. Countries such as Zambia, Angola and Mozambique are considered as infected areas. 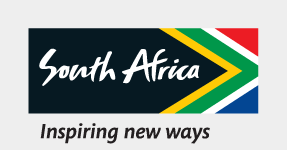 For more information on visa requirements, please contact your nearest South African diplomatic mission. For Customs requirements, click here. For Agricultural requirements, click here. VFS Global manages visa application centres for South Africa visa in India where you can submit your completed Visa applications for Short term and Long term visa. To visit the website, click here.